Efes Pilsen signed with its former player Cenk Akyol. The player is 23 years old and 1.97 meters tall and plays in the forward position. 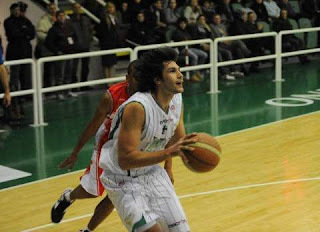 Cenk Akyol, who started his career in Efes Pilsen infrastructure, transferred to Efes Pilsen A Team in 2003-04 season. The successful player played for Efes for four years consecutively, and then in 2007-08 season he played for Galatasaray as a rental player for one season and then returned home in 2008-09 season. He played for Efes for one season and experienced the champion title with Efes and in 2009-10 season he transferred to Italian Air Avellino team. With Air Avellino, playing in 23 games in the Italian League, Cenk Akyol’s average scores were 11.8 points, 2.6 rebounds and 1.0 assist per game. Stating that he was so happy to return home to Efes Pilsen, the successful player said that he will for the champion’s title with Efes once again. Efes Pilsen signed a contract with Cenk Akyol for two years.